1. These sights will also fit the old model Ruger 44 Magnum Carbine. 2. The TSR100 & TSR200 will not seat properly on the Brownells BRN-22 receivers. 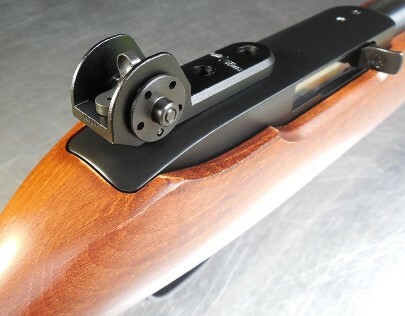 Instead, our TSR200RL “Rail Sight” can be used with the “Ruger Combination (90329) Scope Base” on the BRN-22 receivers. The TSR100, TSR200, and TSR200RL (rail sight) can be used on the Collector Series and Anniversary 10/22 rifles that have the Mini14 rear sight. The OEM picatinny rail, Mini 14 rear sight, and front sight need to be removed in order to use these sights. The best option for the Collector Series 10/22 is to use our “MINI200” Mini14 rear sight. 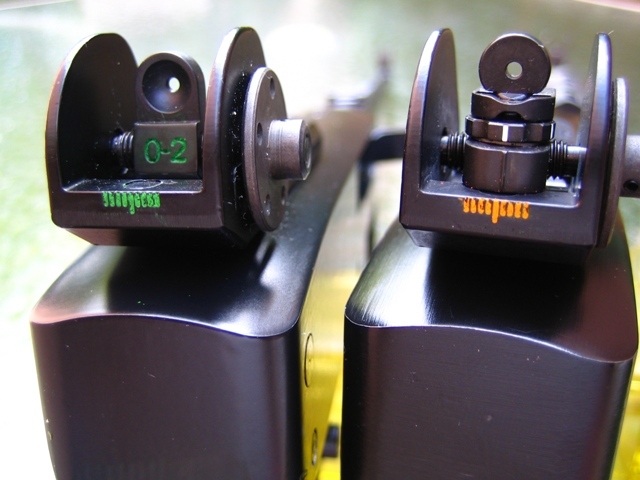 The MINI200 sight is longer as the picture shows, but it has spring and ball detent click windage and elevation adjustments. 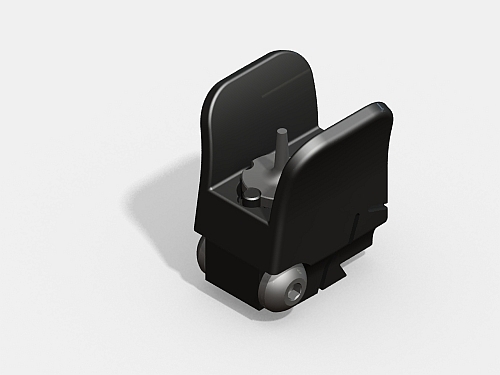 The MINI200 sight mounts using one screw, but has additional set screws on each side for a more secure fit than the OEM sight and it is compatible with the OEM front sight. Comes STANDARD with Extended National Front Post – allowing for shooting at shorter ranges. 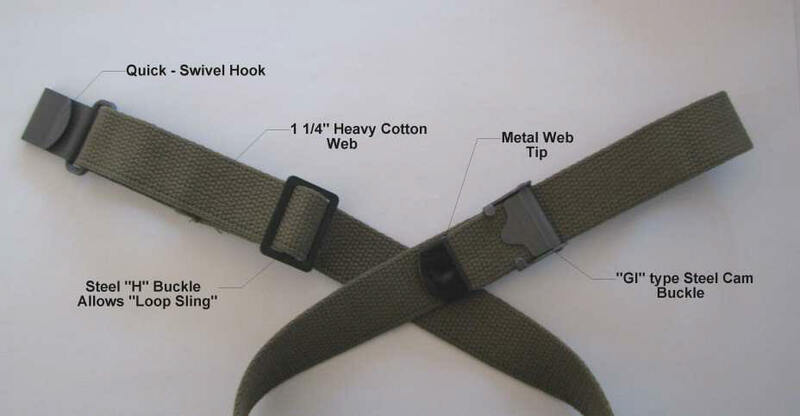 PDF File of Assembly Instructions – Click Here! What a sight!!! 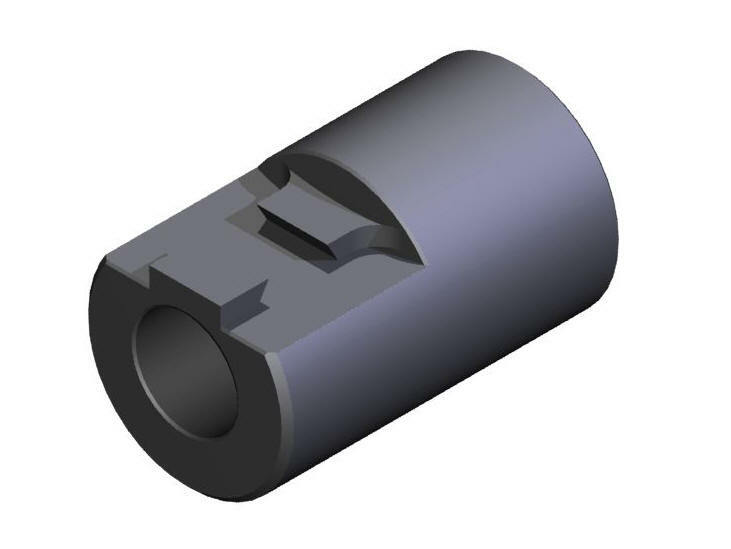 In the past twenty five years I have tested and evaluated hundreds of firearms accessories including dozens of sighting systems for magazine articles. 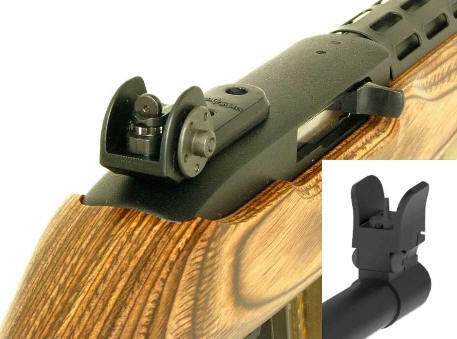 I could honestly say “finally, someone came up with truly affordable, extremely functional and incredibly rugged precision iron sights for the 1022 and SKS. Knowledgeable shooters who admire a quality product specially designed to match or exceed those devices found on high end precision rifles will truly appreciate the Tech-Sight systems. After testing and evaluating the Tech-Sights installed in my own rifles compared to other similar devices out there, I can only say one thing – “Nothing even comes close”. My grouping easily shrank by half from 25 to 100 meters – incredible improvement in accuracy, thanks to those clear sight pictures. I believe in giving credit to where credit is due. So affordable, yet very sophisticated. Tech- Sight products are indeed the very best there is that is available for the 10/22 and SKS rifles. I look forward to see more innovations from you. Mounted on my Ruger 10/22 takedown, approximately two years ago. Excellent sight system. Returns to zero after takedown. Also purchased the sight tools. Quality product. I received my TSR200 sights a few days ago. After mounting according to the directions, snugging everything up, I went to the range yesterday. I must say these sights are THE BEST THING SINCE THE 10/22 WAS INVENTED! I set this rifle up to shoot at 25yd AQT targets and my buddy is doing the same thing. 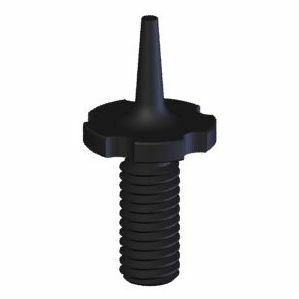 We want to shoot more and save the centerfire ammo. To obtain an initial zero, I shot off of a rest at 25yds, was getting one hole groups. I have scoped, bull-barrel 10/22s and this one shoots as well as the others with your sights! I want to thank you for a product that Ruger should have put on the 10/22 when it was introduced. You folks have made plinking and training fun again! Now, I hope you would introduce some sights similar for the 77/22, if the demand was great enough. Maybe something that fit on the back scope mount on the receiver! Anyway, thanks much and I can’t wait to get back to the range! I just wanted to write to thank you for making my 10/22 fun again. I’d built up a scoped, heavy barreled rifle, with trigger job, and then I decided that shooting with a scope was dull. A month or so ago I ordered your TSR100 with bull barrel adapter and I am very, very pleased with the results. This thing is a tack driver with great balance. The sights work perfectly at 50 and 100 yards. Thank you so much for your excellent TSR200 sight. I put it on my Mannlicher-stocked Ruger 10/22 and have been shooting quite well with it ever since. I was sold on it as soon as I realized it gets maximum sight radius out of the rifle, but once I zeroed I realized that the simplicity and rugged design are worth every penny. Thanks again for a great product! I just wanted to say thanks. I really like the sights I bought from you on my 10/22. Made the sight picture so much clearer and added some radius to my sight picture. Sorry about taking so long to do a review on this wonderful product (I’ve owned mine for over two years now) I’ve just had too much fun playing with my 10/22TD. Along with the upgraded sights I also added one of Rugers target triggers at the same time. This sweetheart actually thinks she’s a bull barreled target rifle, and I just don’t have the heart to tell her different. At 25yds she cuts one ragged hole all day long regardless of load. At 50yds with CCI high velocity loads she’ll keep everything inside 1/4″ as long as the Oklahoma winds co-operate. I just found out that Tech-Sights is offering reduced size apertures, so I’ll be ordering these to try out on my little sweetheart to see what magic she can perform!!! Tech-Sights keep up the good work, and come out with some sights for the Henry Rifles!!! !